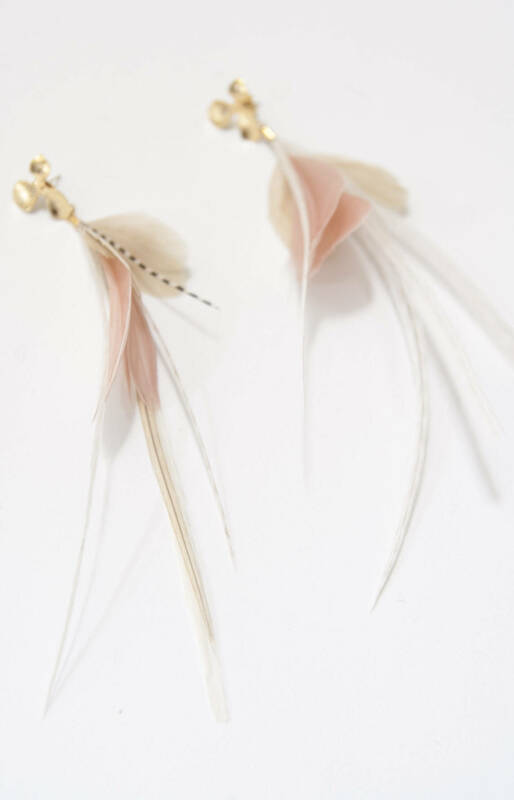 These statement feather stud earrings are made of natural quality feathers on an orchid tarnish resistant 16K Gold Plated Brass. 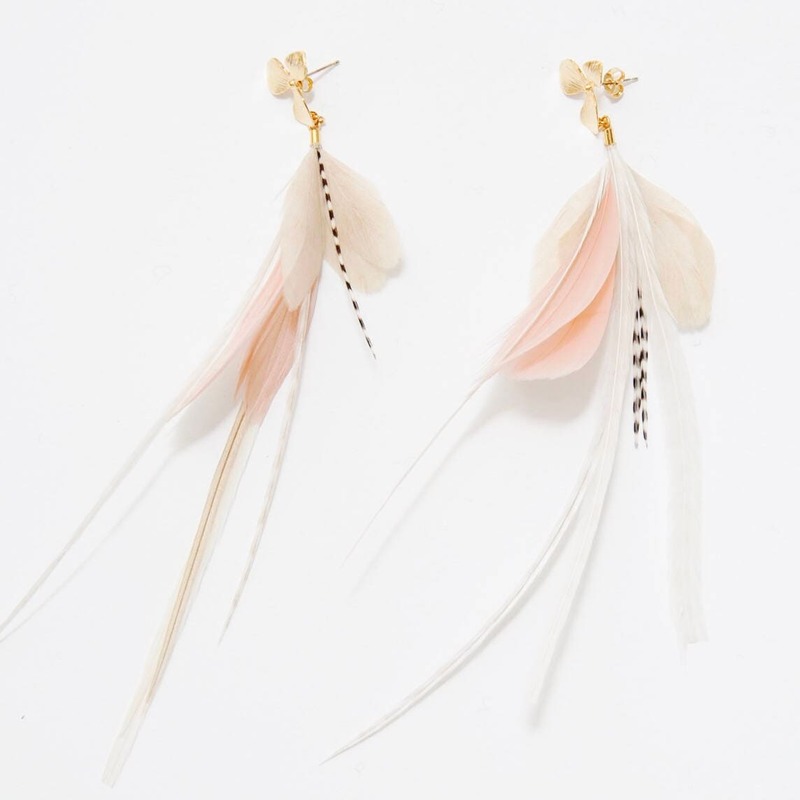 I wore these with my wedding dress for my reception. Everyone loved them!